Tommy’s television series ‘Tommy’s Fix Your House For Free?’ is being run again on Discovery Realtime. See how Tommy was able to save over £500 by using two of our Brick Tinting Kits! The programme featuring the Dyebrick Brick Tinting Kit is aired on Thursday 26th November at 9.00pm. The Colonial Williamsburg Foundation reconstructed Richard Charlton’s 18th-century coffeehouse—which, is the only authentic 18th-century coffeehouse in the United States. the grand opening is on Friday, November 20, 4:00 p.m.
Dyebrick products were used on the cosmetic renovation to the foundation walls. Brick mason Ray Canetti stained the bricks sympathetically to create an authetic and natural recreation of how the Coffeehouse would have looked when first built. Dyebrick is specified for use in conservation projects, as the physical properties of the masonry are not altered. For more information about the Coffee House renovation click here. 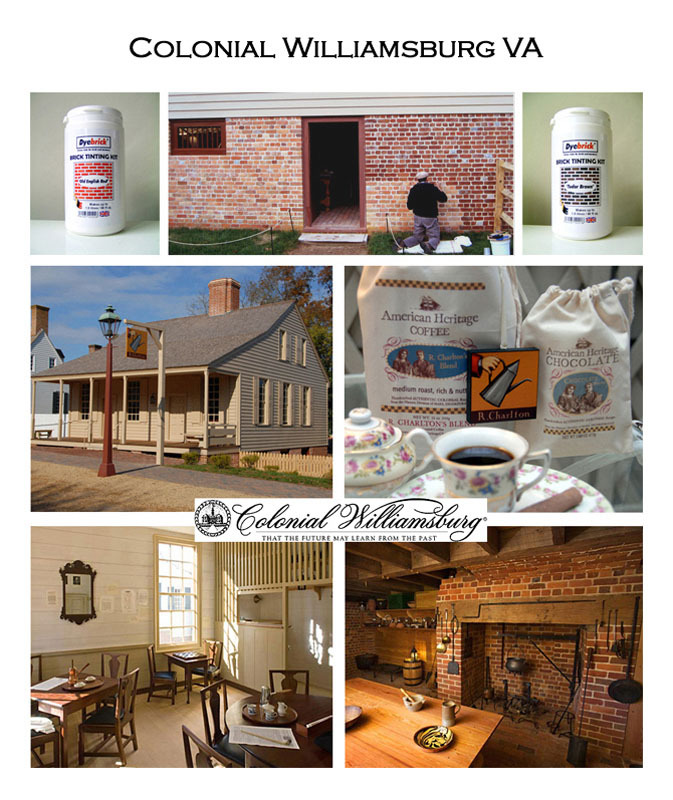 For information about The Colonial Williamsburg Foundation click here.